The one Irish author I read is The Dirty Dust by Mairtin O’Cadhain. He also wrote in the early 20th century and his book was a big rambling and bizarre as well. Maybe it’s an Irish thing! You know, despite being half Irish I don’t like a lot of Irish literature. This was different, and very varied in style. I was reading an electronic galley which is a confined sort of experience (and I prefer paper books by far) so I had a hard time getting a handle on his time frame because some of the stories are anchored in the 21st century but always look back to WWII or earlier. When I discovered he was born in 1926 (and still living) I realized that there is likely more of a contemporary context to his work with respect to his life experience. But for a while I wondered, is this historical? How old is this guy? The Irish preamble, ramble, roam and wander around, in and out of a storyline in order to tell it… The joy of storytelling is the whole lot… Trust me, I’m Irish. That’s exactly how I would describe The Dirty Dust, rambling, roaming, in and out of a storyline! It was a fun book and different than anything I’ve read. O’Cadhain is also writing around the period of WWII. In fact, there are actually WWII jokes in the Dirty Dust! I’m actually sitting at the airport on my way back from Dublin with a bunch of books by Irish authors, so I enjoyed the serendipity of reading your review today! This sounds like a really interesting collection of short stories. I enjoy it when authors play with the traditional narrative form. Sounds like me on my way back from South Africa last week with an embarrassing number of books by South African writers. The best souvenirs if you ask me! I find that I often prefer narratives that diverge from the traditional conflict/resolution model. I would prefer to be left wondering or unsettled than to be told by the author exactly what (or how) to think. The nice thing about this collection is the range of styles and stories. Some of the story titles alone are fantastic. 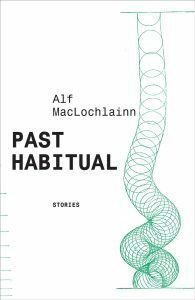 Alf MacLochlainn seems only to be currently published in the US (I’m assuming Ireland as well, but not the UK as far as I can see). It is a relatively new release, maybe it will make its way there. Dalkey has UK and Dublin offices as well as the US. His novella also sounded interesting but I haven’t looked for it over here yet.